WILLEMSTAD - The oil refinery Isla expects to be fully operational again by the end of September. 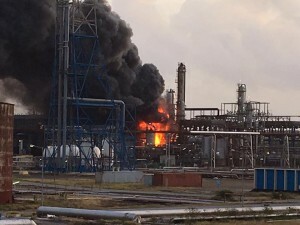 This after a fire broke out in the Crude Distiller 3 on May 21 this year. This is according to Henny Cornelia in a statement to the press. At present, the refinery is operating at 50% of its capacity. This means financially a loss of 500,000 guilders per day. This is why the employees are working night and day to get the refinery as fully operational as possible. It is still not known what caused the fire. That is under investigation. The Isla expects to receive an interim report on the investigation next week.